As a kid I can remember taping together paper napkins to make an apron for my mom on Mother’s Day. It wasn’t functional, but I was so proud of it. I have always had that drive to create. Soulful Prairies has given me and others the opportunity to play with ideas without worrying about a perfect outcome. 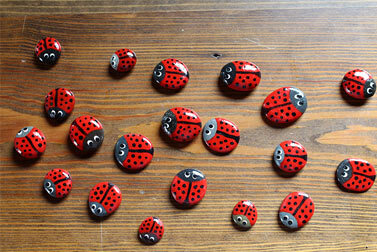 Put a pair of wings on, count the painted lady bug rocks, shoot some photos or find an object that has been re-purposed. Come be inspired or come inspire! My daughters and I painted the first pair of these. 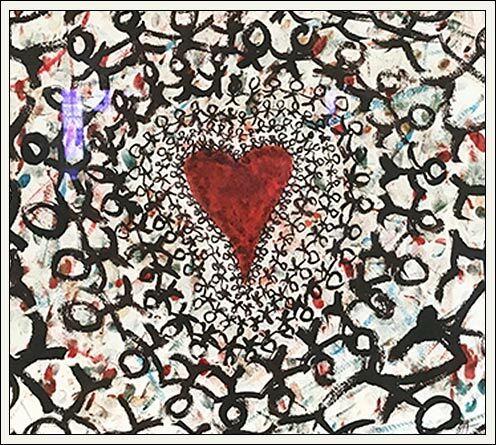 They then decided to paint another pair on the other side of the building and then last summer we had a camp on the property and the camp participants painted a third pair. I'm pretty sure there are a few more in the works. The wings have become a favorite spot to take pictures and quite honestly it takes my breath away when people of all ages, shapes, sizes and ethnicity stand in front of them. 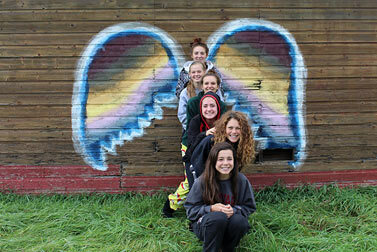 Soulful Prairies carries the message that we are all valuable and quite honestly that we are all angels. These wings remind me of this on a regular basis. These old wooden spools were used in textile mills and on looms in factories. 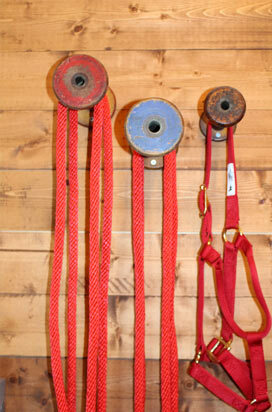 I have screwed them into the wall in our barn to use as hooks and holders for halters and lead ropes. It has worked out really well and is definitely a conversation piece. These little lady bugs are made from rocks found on the shores of Lake Superior, a place that I have vacationed with my family all my life. The rocks have been painted and then coated with clear nail polish. We have glued them in hiding places all over the barn. Come out some time and see if you can find all of them. 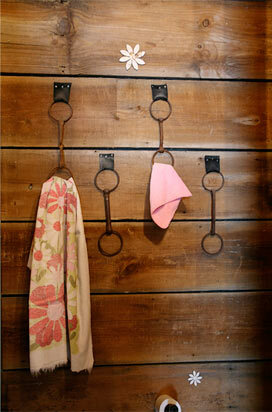 One idea I came up with while working on the bathroom was to take old bits and use them for towel racks. They are attached to the wall with a piece of leather from an old cut up leather chap. These bars were made from old salvaged wood for a special event we hosted. 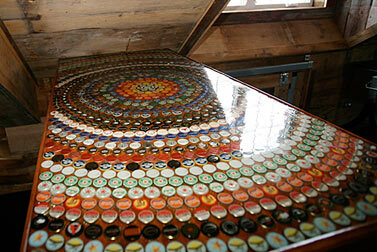 The bar tops are decorated with beer bottle caps, with a resin poured over the top. 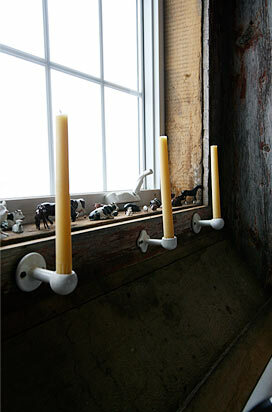 If you look closely these candle holders are actually the ends that held the bar of old bathroom towel racks.